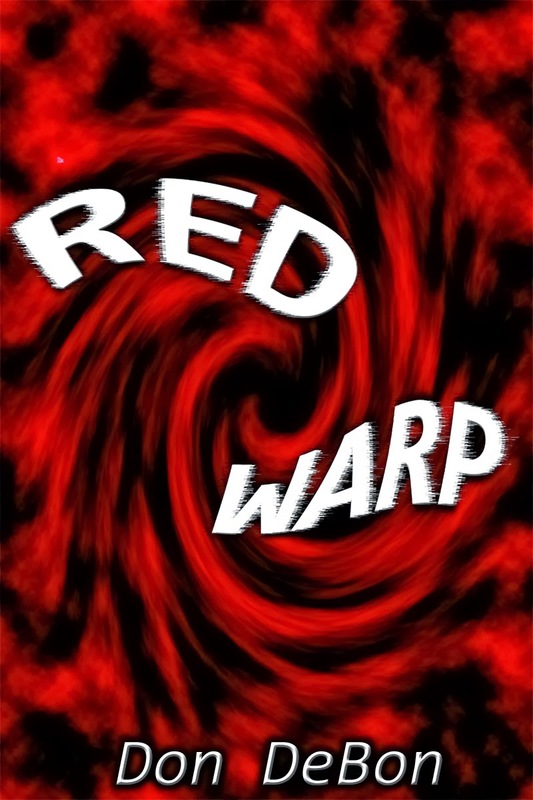 Red Warp launches on December 2nd and it is available for pre-order now at Apple iBooks, Kobo, and Barnes & Noble Nook. It will be released to Kindle, Sony, and everywhere Smashwords distributes to on the 2nd. Pulled through time and space, their senses were awash in color and light. Then after what seemed like an eternity, they crashed out landing with a thud. James shook his head trying to clear his vision. Finally the ground resolved. "Wood?" he muttered. He got to his feet hearing sea gulls in the distance. Red was dazed and half asleep next to him laying on the wooden decking. Looking around James finally saw the ship they were on for what it was, with the large black pirate flag flying above his head there could be no mistake. He grabbed Red. "Red! Red! We have to get out of here!" "I ... am ... too ... tired. Must ... sleep ..."
"You can sleep later, we need to get away, now! If you can't I will carry you." "Hmmm? Okay ..." She barely mumbled before falling sleep. James picked her up and started moving forward to try and get off the ship when suddenly, there was a lot of commotion from below. Including several loud voices. A moment later several large men surrounded them wearing various types of clothing. Some were barefoot, others had well made boots. It was obvious their look was by choice rather than something forced upon them. All of them held their swords drawn pointing at James making him feel as though he was in the middle of a deadly cage. One false move and they were done for. All the men sneered at the two people in their midst, and talked among themselves when they suddenly parted reveling a tall man with long black boots. The rest of his clothing was dark except for the brightly colored coat that looked to be made of silk. He had pistols on either side of his belt and a sword in its holster. He stroked his thick black beard. "Well well well. What have we here?" "Who are you and where are we?" James asked but then quickly regretted the question. "Who am I?" The tall man laughed which caused the other men to join in. After a few minutes he raised his hand for silence. "I am Edward Teach and you are aboard the Queen Anne's Revenge!"